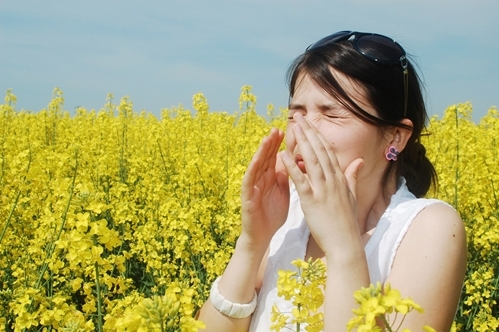 In the midst of spring, many individuals are sniffling, sneezing and scratching their eyes. Tree pollens, weeds and grass are just a few triggers for allergy-ridden individuals. Two-thirds of Americans suffer from seasonal allergies, but only half address this issue with a medical provider, according to a recent national survey conducted by Harris Interactive on behalf of the United Allergy Services. Healthcare marketers focused on patient acquisition should consider targeting the millions of Americans with allergies who don't seek medical treatment. This is a prime time for doctors to acquire patients because 2014's allergy season has been touted as the toughest one yet, according to a press release from Sinus Plumber. With spring arriving late this year, allergy experts say the pollen emissions could be particularly heavy this year. Unsteady weather patterns and fluctuating temperatures also contribute to this rough allergy season. "As soon as it starts to rain and get warmer, it'll be grass and pollen coming out in large quantities," said Dr. Joseph Leija of Gottlieb Memorial Hospital in Melrose Park, Illinois, according to the press release. Instead of visiting the doctor to reduce allergy symptoms, 45 percent of patients take over-the-counter medications that mask symptoms, the UAS study reported. These drugs don't effectively reduce allergic reactions. "Millions of Americans are unaware that true allergy relief is accessible through their family doctor or primary care physician," said Jill Bryson, a primary care physician at Benton Family Clinic in Arkansas, according to a UAS press release. "Patients need to discuss symptoms during their next visit to the doctor and doctors need to encourage this conversation." If marketing professionals in the healthcare field raise awareness of the treatment options available, such as allergy shots, individuals may be more likely to visit physicians. Healthcare marketers will enjoy a high number of patient acquisitions when they turn to data-driven marketing. By reaching an audience with allergy symptoms, marketers are more likely to acquire patients. 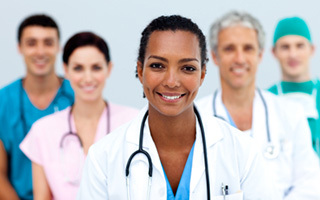 Data-driven marketing can help healthcare organizations identify these new prospects. By providing information on demographics, location and other vital data, Altair assists marketing professionals with profiling and segmenting prospective patients. In addition, Altair goes a step further with predictive modeling, which helps healthcare marketers profile their ideal allergy prospects and automatically send out direct mail when allergy season arrives. With this information, healthcare marketers can design more effective patient acquisition strategies. This entry was posted in Medical Marketing, Trigger Program and tagged Healthcare Marketing, Patient Insights, Trigger Program, Urgent Care. Bookmark the permalink.